If you love your friends, show them in a tangible with this awesome freebie from KIND! For a limited time, you can send a scrumptious FREE KIND bar to your friends! To send this freebie to a friend, simply fill out the form on the KIND website and submit your request. Your friend will receive a coupon for a FREE bar. Who knows, maybe your friend will feel kind too and return the favor (and if not, you can always ask!) 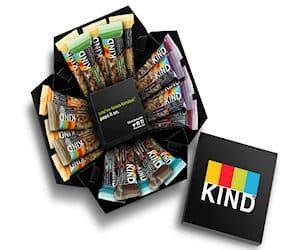 Send out this offer for a complimentary KIND bar before this fantastic freebie offer disappears.